So far, our look at ancient astronomy has concentrated very much upon Mesopotamia, European astronomy and the Islamic Golden Age. However, in any study of astronomy, it is impossible to ignore the work of the great Indian astronomers; their contribution to the science influenced Hellenic, Islamic and European thought for centuries, with their work carried down the great Silk Road into Europe. Indian astronomy was heavily tied to their religious and spiritual outlook of the world, but it contained many accurate observations of phenomena. This acted as a catalyst for the growth of mathematics in the subcontinent, one of the greatest legacies passed on by India to the western world. The first records of sophisticated astronomy in India date back to at least 2000 BCE, where they are found in the Rigveda (c1700-1100 BCE), one of the primary and foremost texts of Hinduism. The ancient Indian astronomers used the stars and the planets to create astrological charts and read omens, devising sophisticated mathematical models and developing many interesting theories, many of which passed into the Islamic world and Europe. The Rigveda shows that the Indians divided the year into 360 days, and the year was subdivided into 12 months of 30 days. Every 5 years, two intercalary periods were added to bring the calendar back in line with the solar year, ensuring that years averaged 366 days. However, the Indian year still migrated four days in every five years, and Indian astronomers constantly tweaked and adjusted their calendars over the millennia. The text also shows that the Indians used four cardinal points for ensuring the correct orientation of altars. The Jyotisa Vedanga, the first Vedic text to mention astronomical data, records events going back as far as 4000 BCE, although many archaeoastronomers believe that this text may include observations from as early as 11 000 BCE. They point out that some of the records may have been copied from earlier manuscripts, but this is an area where more research is needed, as many of the references are unclear and couched in religious terminology. This period saw many advances in measuring time and the procession of the heavens, with a few proto-theories about the structure of the universe. More importantly, this period saw the transmission of ideas between the Indians, Babylonians, Greeks, and Persians. This exchange of theories and philosophy was extremely important to the development of astronomy. 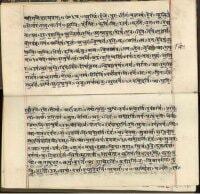 In this period, a new branch of astronomy, diverging from the Vedas began. Called the Siddhantic Era, it began with a series of books called the Siddhanat, ‘Solutions,’ which charted the solar year, including solstices, equinoxes, lunar periods, solar and lunar eclipses, and planetary movements. The Siddhantic Era saw three great Indian astronomers, sadly little known in the west, despite the great advances that they made. By the first century CE, Indian astronomers proposed that the stars were exactly like the sun, but much further away, at a time when the Greeks were still using celestial crystal spheres to explain the cosmos. They also understood that the earth was spherical, and Indian astronomers attempted to calculate the circumference of the planet. It is difficult to pick out exactly the thoughts of the Indians, because many of their observations and ideas are revealed in religious verses, which are always open to interpretation. Yajnavalkya (c 3rd Millennium BCE) believed in a heliocentric universe, although some verses from as early as 3000 BCE allude to this; however, these early references are vague and we must be careful to apply the same strict definitions that we do to megalithic astronomy and avoid confirmation bias. In his text, called the ‘Shatapatha Brahmana,’ he also measured the distance of the sun from the earth, and the distance of the moon from the earth, to be 108 times the diameter of these bodies, very close to the modern measurements of 107.5 for the sun and 110.6 from the moon. The early Siddhantic Era is poorly recorded and gives only a tantalizing glimpse into the mind of the ancient Indian astronomers and mathematicians. 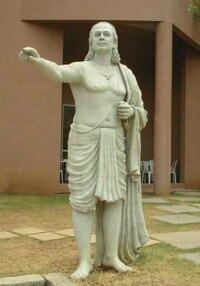 The real Siddhantic Era began later, with the astronomer Aryabhata. The first properly recorded Siddhantic astronomy began in the 5th Century CE, where Indian astronomers such as Aryabhata (b476 CE) began to adopt a more rigorous, mathematical approach to astronomy, directing it away from mysticism and its emphasis on the calendar. Aryabhata added to the heliocentric theory, proposing the idea that the moon reflects the light of the sun, a theory also proposed by some Greeks but not widely adopted. He also proposed that the earth rotated rather than the skies, although this theory lay undiscovered until the European Renaissance and Copernicus. His idea, which included mathematical models about how to forecast eclipses, eventually found its way into Europe and influenced Renaissance thought. His book, the ‘Aryabhatia,’ was translated into Latin in the 13th Century. This work gave the Europeans some methods for measuring the volume of spheres and the area of triangles, as well as methods for calculating square roots and cube roots. In the 6th Century, Indian astronomers proposed that the same force holding objects to the Earth also held the celestial bodies in place. This was an advance upon Anaximander’s idea of equilibrium and a recognition of a proto-gravitational theory, long before Newton. Varahamihira proposed that there must be some type of attractive force keeping objects stationary. The Siddhantic astronomers also understood that the earth was spherical and attempted to calculate the circumference of the planet. In the 7th Century CE, the astronomer Brahmagupta arrived at a figure of 36 000 kilometers for the circumference of the earth, very close to the actual figure. The period arose because of the rise of Islam in India and the importing of Greek texts, translated into Arabic, into the region. For this reason, it is often known as the Zij Era, after the Zij tablets containing astronomical data. Importantly, the first Zij tablets were translated from Sanskrit, by Al-Khwarizmi (780 – 850 CE), and included the number zero amongst the simpler Indian numbering system, the greatest contribution of the Vedic mathematicians to the Western world. The influence of the Indian astronomers did not end here, as their work would continue to be used by the Islamic scholars and would form one of cornerstones of Islamic astronomy. During the great Mughal Era of India (1526 – 1725), Hindu mathematical techniques, united with Islamic observational techniques led to great advances in astronomy. Through the British Colonial annexation of India, these techniques became a major part of modern astronomy.